Today, Wednesday, February 14th, 2018, is the birthday of Paris Running Tours! 10 years*! 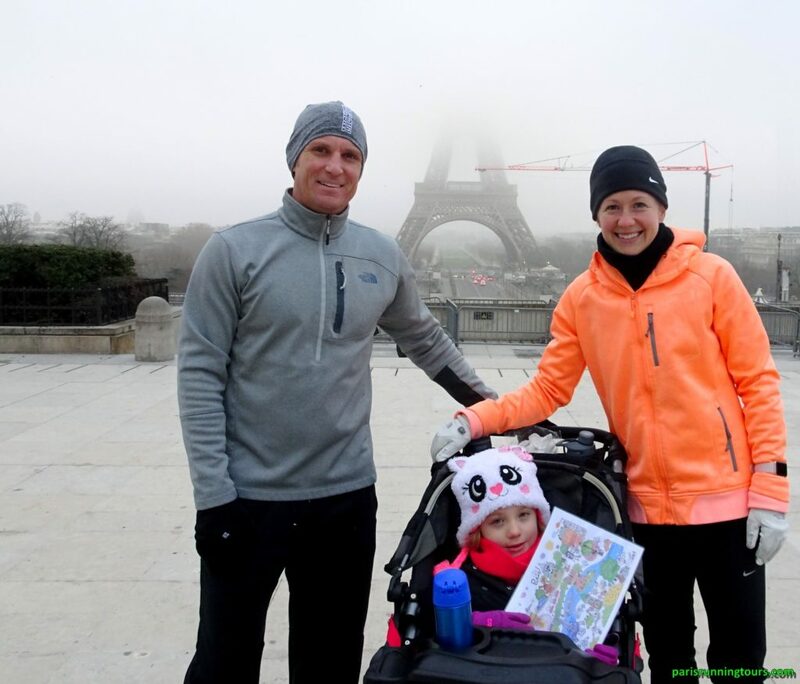 Paris Running Tours celebrated its 10th anniversary with a very nice family: a great run in Paris with Evan, Jennifer and their daughter Ava, used to accompany her parents during their daily sports outings in the beautiful landscapes of Michigan. 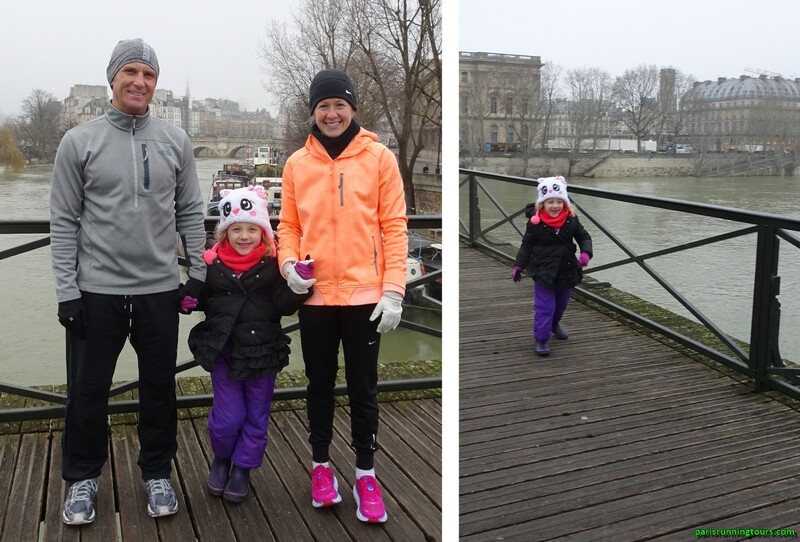 Despite the freezing cold, we were able to do a nice 14 km tour of Paris, alternating running with the stroller and Ava’s little escapades to stretch her legs and enjoy the pleasure of running. 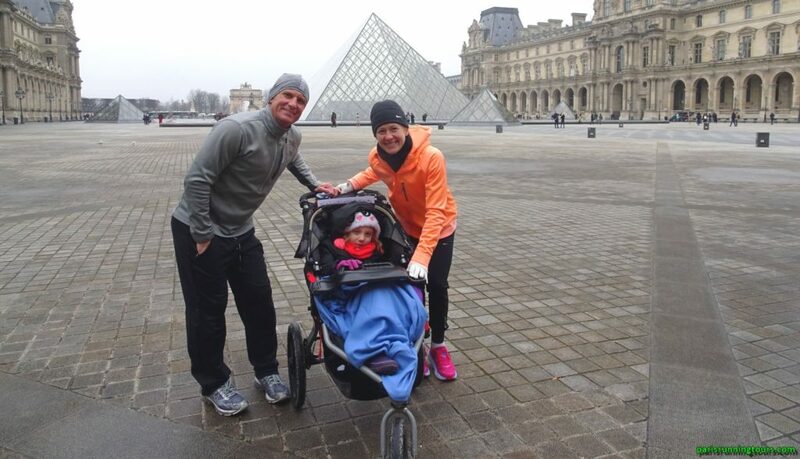 Evan, Ava and Jennifer – Pyramid of the Louvre – Fewer people in February, a good season to visit Paris if you don’t fear the cold weather. Thank you Jennifer! Thank you, Evan! Thanks to you, little Ava (who really deserved a short nap)! *Paris Running Tours is 10 years old! It is with great pleasure that we made our 1454th running tour today, 10 years after the official creation of Paris Running Tours with the trademark registration at INPI (“Institut National de la Propriété Intellectuelle”) on February 12th, 2008. I really started running in 1995, of course in Paris, my city and with the joy of creating a multitude of different routes for my training and enjoy all the beautiful aspects of this great city. When I was running, I wondered if it was not possible to introduce the city to sports tourists in this way. From time to time, I came across runners who were obviously looking for their way into the city. Yes, running tours in Paris, why not? But how to do that? At the end of the 1990s, the Internet was not as available as it is today, how can we make ourselves known then? Waiting outside with a placard? Work, family, competitions, the idea remained in a corner of my mind… until in 2010, I read a small article in a running magazine, praising the discovery of Paris by running. 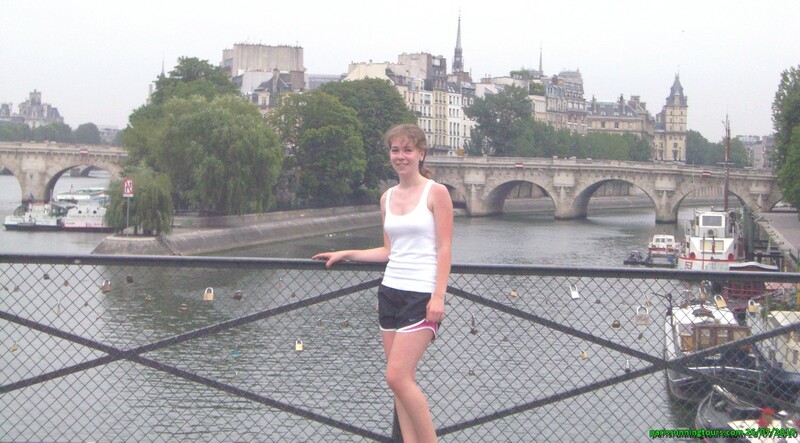 A Paris Running Tours company offered guided tours in Paris. 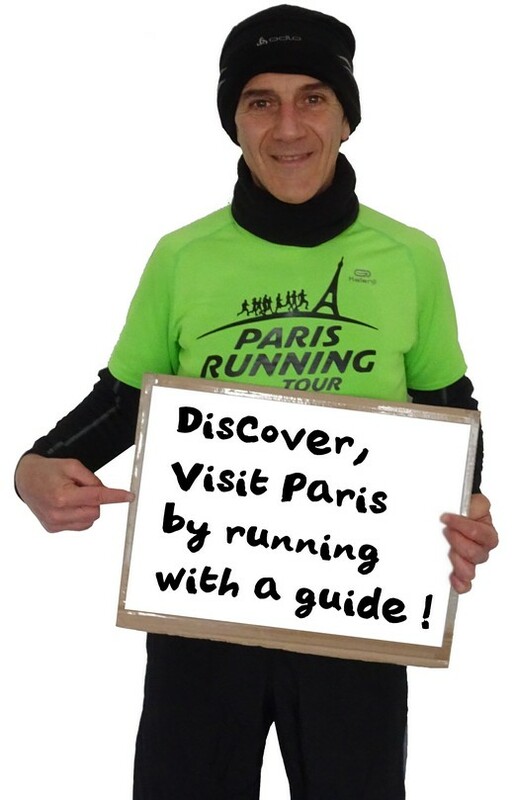 A runner among my acquaintances, Francis Gérard, had created Paris Running Tours and started the visits in 2007, with the official creation of Paris Running Tours in February 2008. In spite of a busy job in a big company, I immediately offered myself as a guide for the early morning tours. Francis and I became friends with great ambitions for Paris Running Tours. Thank you Caroline! Here in July 2010. Notice the first “love padlocks” that appeared on the “Pont des Arts”. Since the railings became too heavy because of these padlocks and have been replaced by transparent panels. Paris Running Tours was one of the first companies in the world to organize running tours, the first in Paris. Unfortunately Francis left us and to perpetuate this wonderful adventure, I took over the responsibility of Paris Running Tours. The team has grown, we are now four of us, all having another activity and being Paris Running Tours guides by passion. Since then, the idea has been taken up a lot, many Running Tours have been created and it is very pleasant to discover the cities of the whole world thanks to running guides. Paris Running Tours has remained independent, as it is neither a franchise nor part of a large agency, nor dependent on large groups. We are still a small team driven by our passion for Paris and running. Impossible to quote you all here, but each tour was and is exceptional, a new adventure, a beautiful encounter every time. Many of you have come back to see us over the years and we are delighted of that. 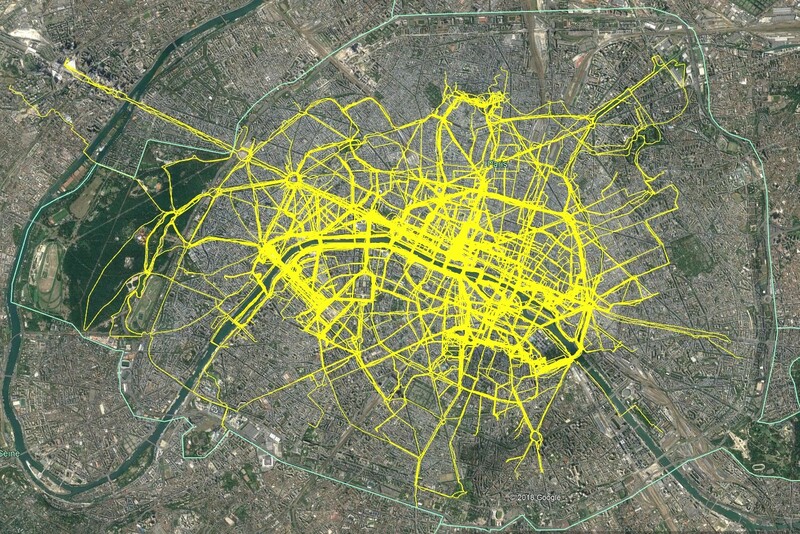 We pick you up all over Paris! Here are the tailor-made routes we have created for you since 2008. We can travel all over the city to show you the most prestigious places as well as the most secret places. Thank you all for these wonderful years spent with you, thank you for your kind TripAdvisor feedback who show that you love our tours and who push us to continue sharing Paris with you for a long time.